reFresh | S&P Canada Ventilation Products, Inc.
All-in-one units to introduce fresh air from the outside into the residence. The Re-Fresh is specifically engineered to meet building and energy codes that call for ASHRAE 62.2 CFM requirements. 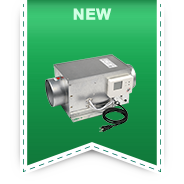 The reRresh Full Size Units have set speeds at 40, 100, and 170 CFM (Low, Medium, and High). Low profile, all-in-one units to introduce fresh air from the outside into the residence. The Re-Fresh is specifically engineered to meet building and energy codes that call for ASHRAE 62.2 CFM requirements. 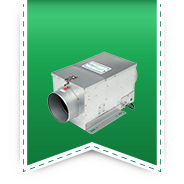 The reRresh Full Size Units have set speeds at 40, 100, and 140 CFM (Low, Medium, and High). The MD6-ES24VK Outside Air Kit combines the MD6 with the ES24V to allow fresh, clean air to enter the building. 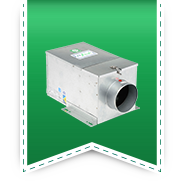 The ES24V can command the central HVAC blower to help distribute fresh air through the existing duct work if necessary. 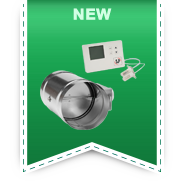 It can be programmed to allow outside air to enter intermittently when the temperature is inside of your set temperature and humidity parameters. This prevents hot, humid, or freezing air from flooding your house all at once, while still meeting code.